Window tinting is one of the most common automotive modifications and is so commonplace that most people don't even consider it an aftermarket upgrade. In fact, automotive glass tint is so pervasive and in such demand that most people can't imagine driving a vehicle without having all or most of their auto glass tinted and for good reason; not only does window tint help you get the best possible visibility when it's applied as a sun visor strip on your front windshield but it can also lengthen the life of all of your interior parts and upholstery by protecting them from damaging UV rays. In addition to protecting things, the same tint can shield you and your loved ones from the carcinogenic rays of the sun...a feat not many other auto accessories can boast. 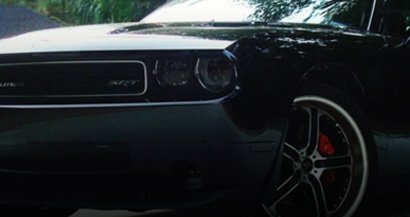 At Rvinyl, we understand that customers and enthusiasts have a lot of questions they want to have answered before purchasing precut window tint or sheets of uncut film off the roll which is why we have taken the time to provide a collection of articles and how-to's that tackle the finer points of window tint installation and care. Installing tint can be difficult (which is precisely why there are so many professional shops out there) but, like anything else, it is a skill that can be learned with a little time, a little practice and, let's face it, a lot of patience. So, if you feel you're ready to jump in and try your hand at window tint go ahead and pick up a precut kit or sheet here but if you still have questions that can't be easily answered over the phone or in a brief email check out our our selection of articles that cover every aspect of automotive window tint purchasing, percentages, installation and more. And, last but not least, if you don't see a topic that you would like to know more about please contact us.